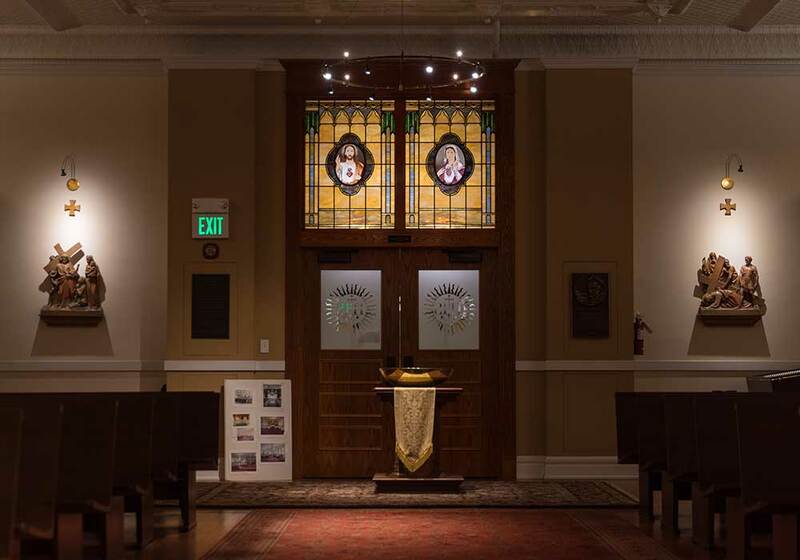 The University Chapel was constructed as part of a 1905 addition to the Administration Building at Gonzaga University (1898). 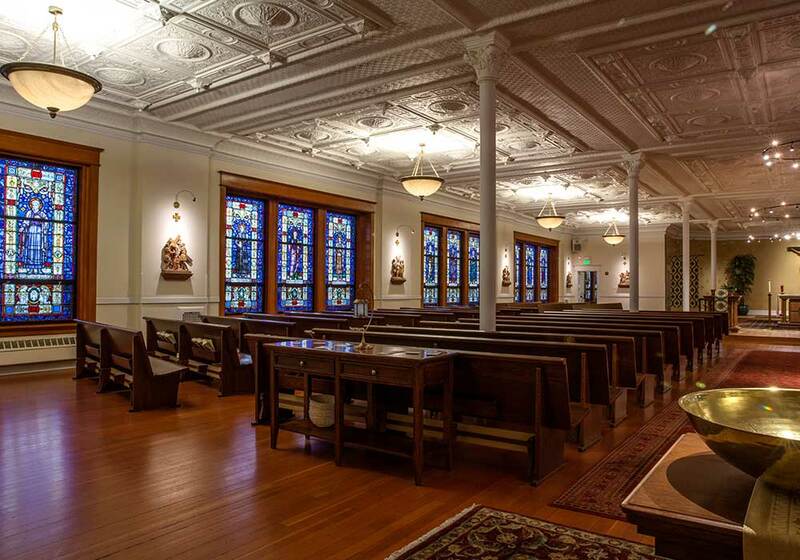 Designed by two prominent Spokane architects, the third floor Chapel featured one of the largest “pressed-tin” ceilings in the city, gas / electric light fixtures, and carved altars, pews and railings. Over the decades, many original features were lost, replaced or compromised. In the 1960's the altars and railings were removed. Pews were replaced with platforms, chairs and benches. 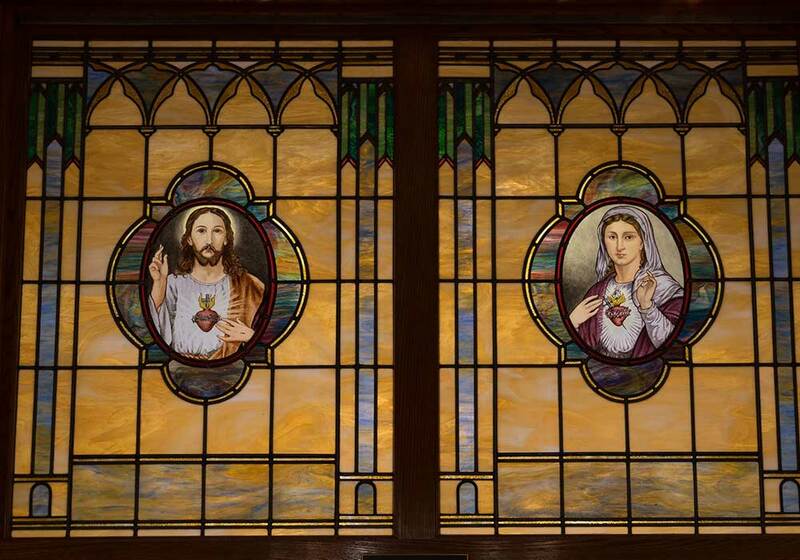 The original wall murals and motifs were painted over; the sanctuary walled-off for storage. 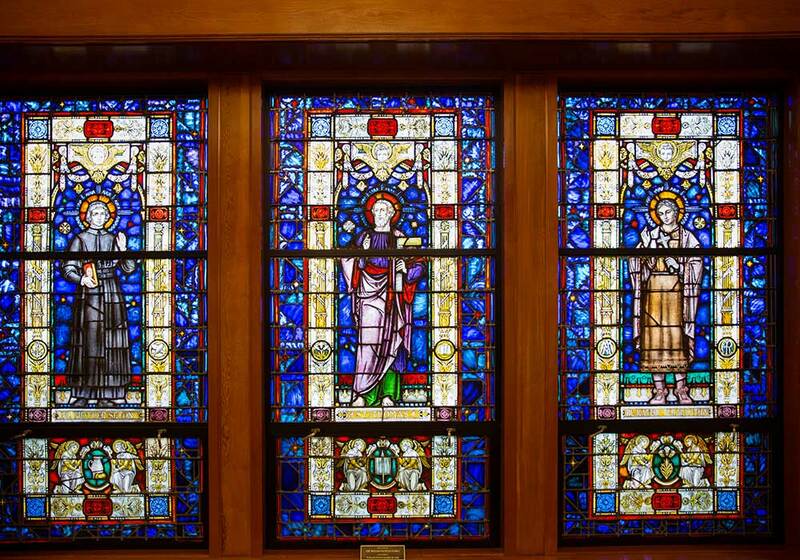 Windows were covered with colored glass panels. Plastic cylinders and globe/fans replaced original light pendants. The original fir floor was carpeted; and, for a period, orange burlap hung over the pressed-tin ceiling. 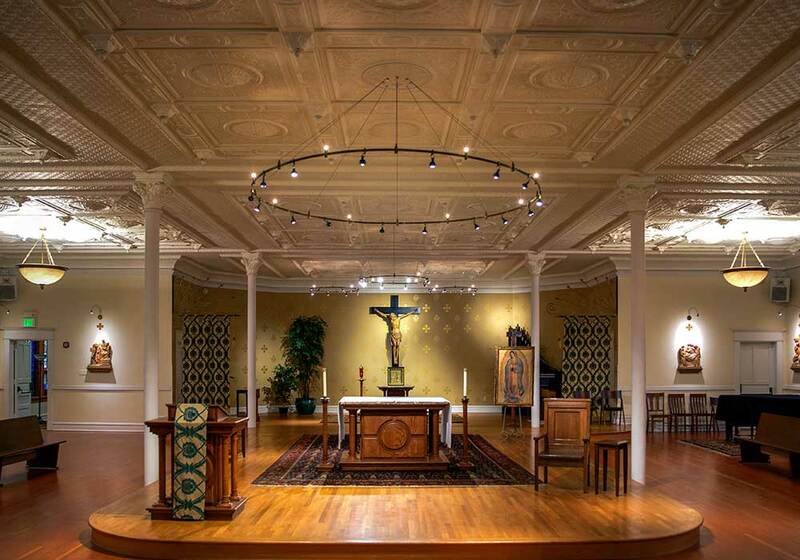 By the 1990's, the Chapel was uninviting, un-inspiring and under-used. The directive from the Vice-President for Mission was to the point: “Recapture its Soul”. 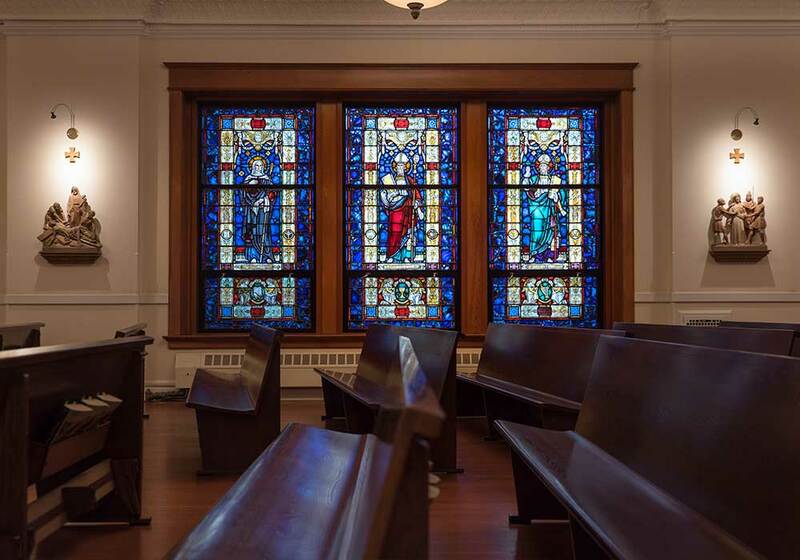 Walker Construction was hired as the General Contractor and woodwork restorer, successfully restoring the chapel as the center of worship for the University Community.